April 11, 2017 by fmgarchitects. 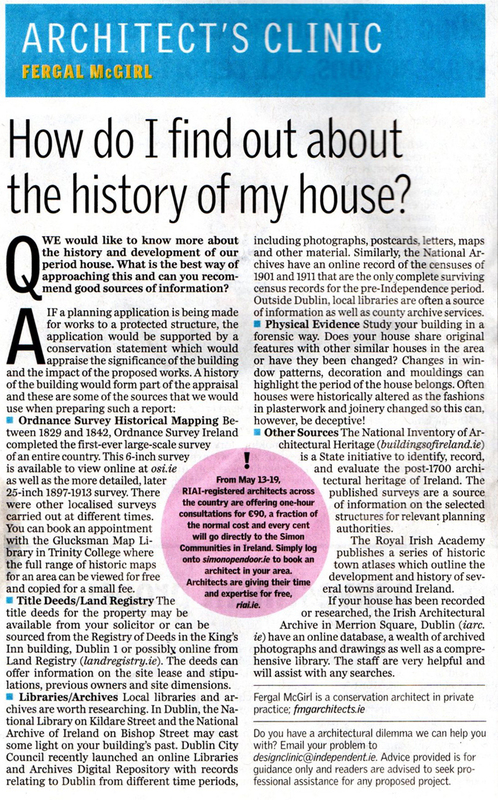 We prepared an article for last Sunday’s Sunday Independent on an approach to researching historic homes. For those that missed it, the text can downloaded below. How do I find out about the history of my house?